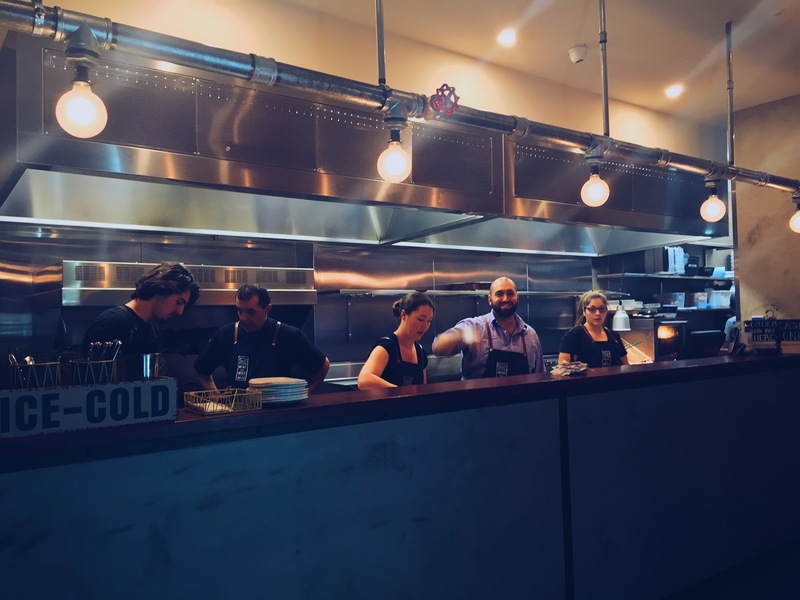 It’s hard to keep up with the ever changing restaurant scene on Kingsway, being such a busy strip, it doesn’t take long for foodies to decide whether a restaurant is a keeper or not. Meat in the Middle joined the lineup a little over four months ago, and I’ve already seen plenty of photos of their burgers and souvlakis on social media, which meant it was time that I gave it a go myself. 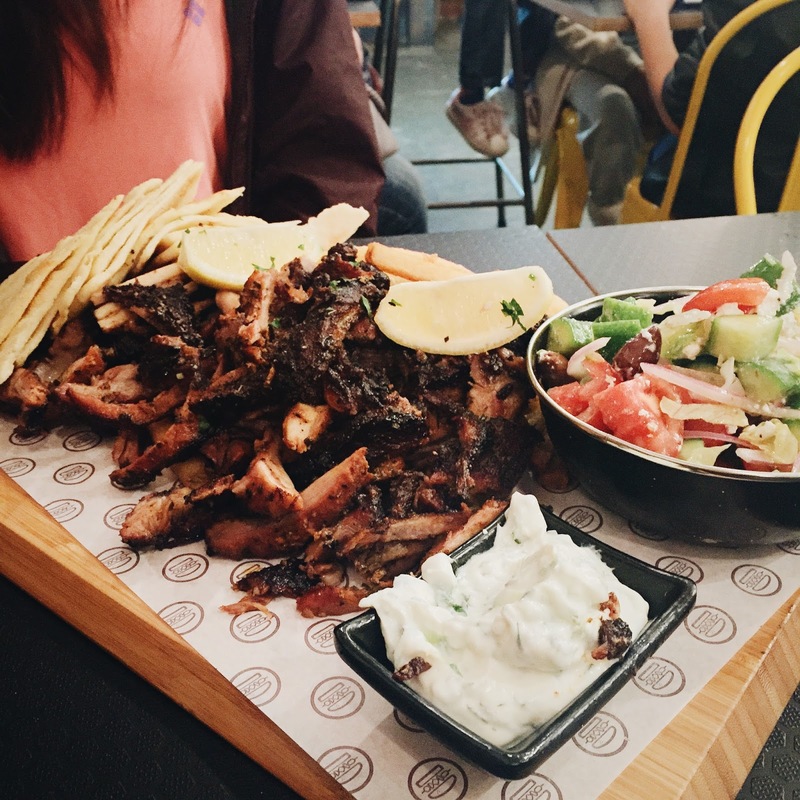 The three of us opted for the biggest platter they had on offer, the Battle of Troy. 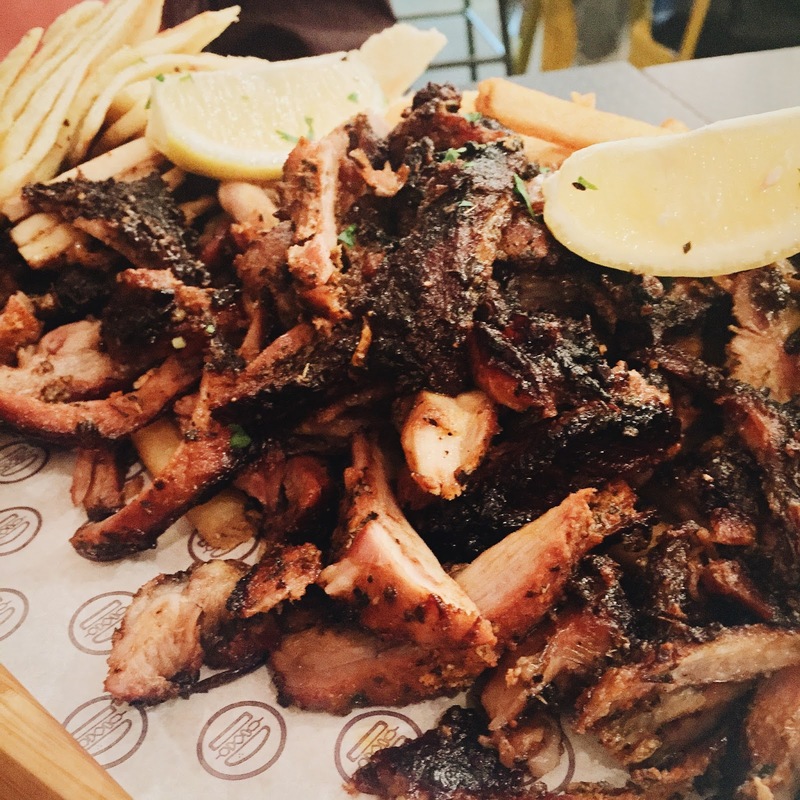 It had the whole package – char-grilled pork, lamb and chicken; fries; Greek salad; pita bread (we did add an extra one for two dollars); and some good ol’ tzatziki. Although nothing out of the ordinary, it was a rather satisfying meal. 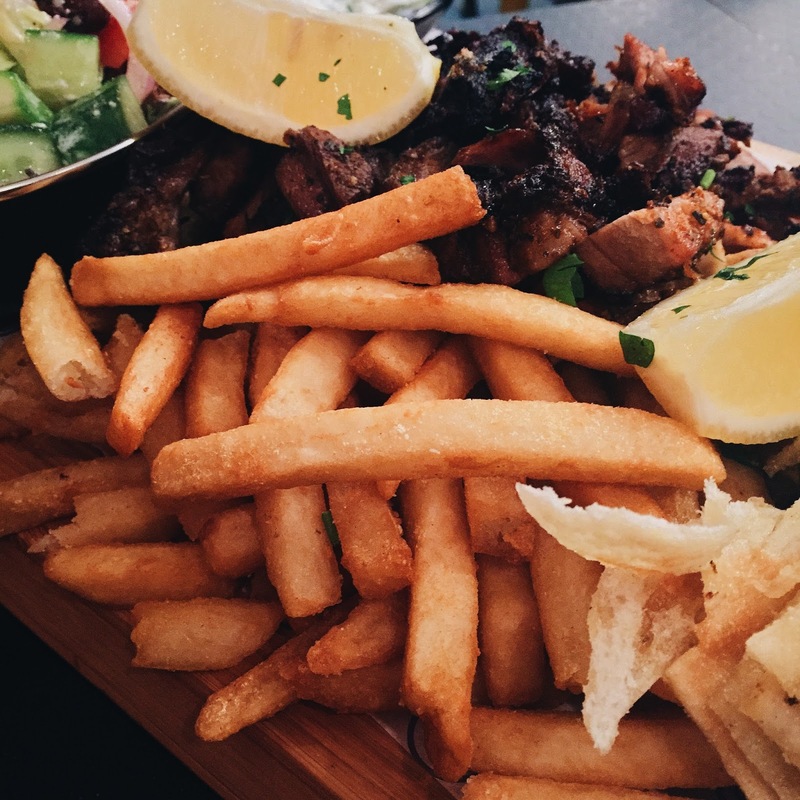 Wrap some meat of your choice, fries and tzatziki up with the soft and pillowy pita bread, and each mouthful was full of flavour. The meat was well cooked, the fries were super crispy, and really, although not necessarily mind-blowingly good, it definitely sat pretty high on the value for money chart. 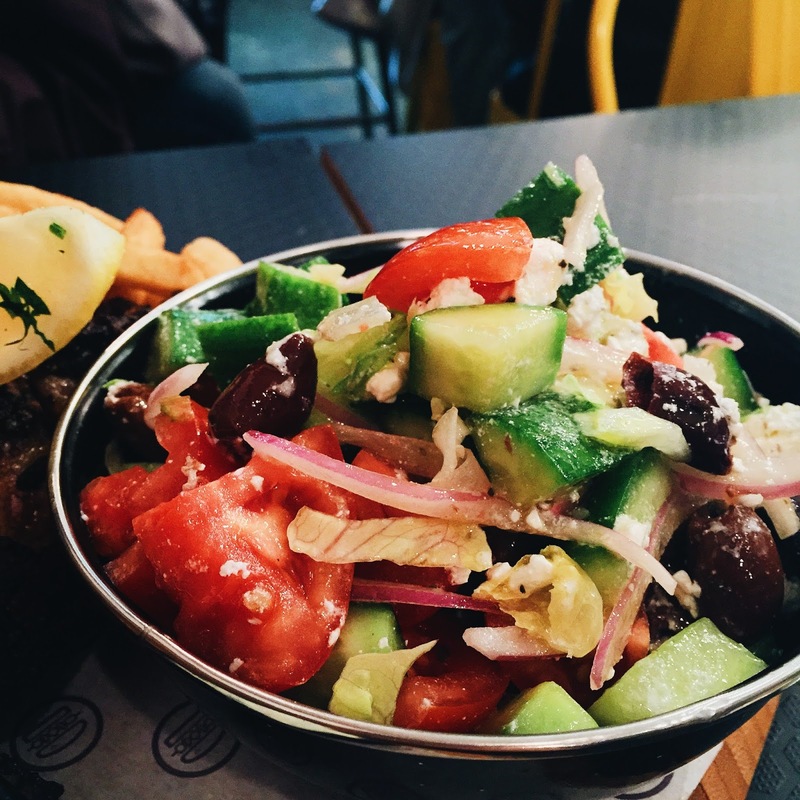 The Greek salad was again, up to standard, with fresh ingredients, and a good amount of dressing and feta to go with it. Service was a bit weird at Meat in the Middle, we asked the waiter if we were given the extra pita bread just to double check, and he clearly had no idea of the answer. 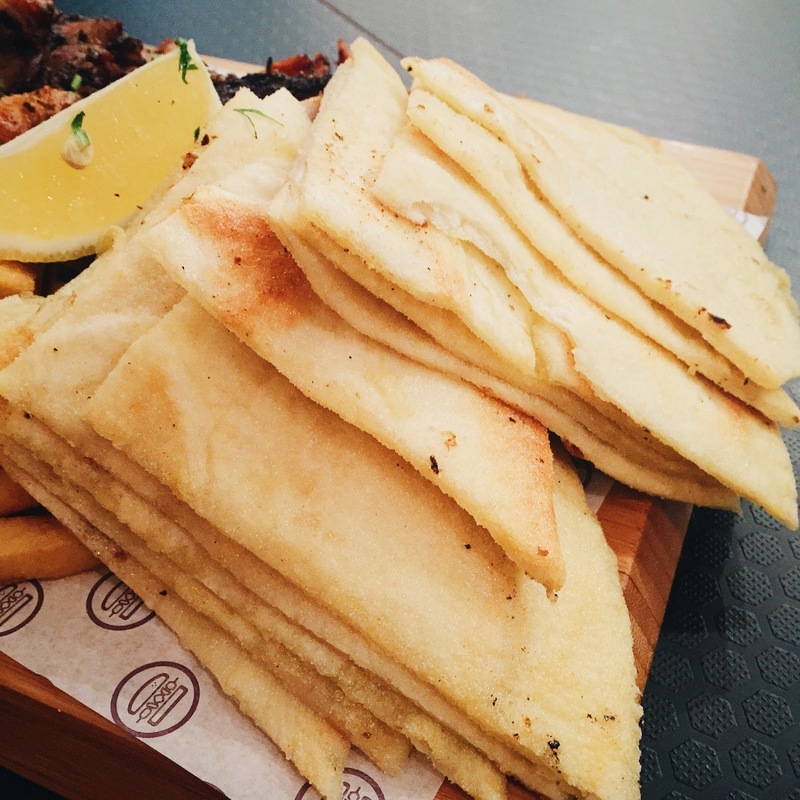 After going back to the open kitchen, he came back and told us that there was indeed an extra pita bread, but he will give us one on the house – not in a friendly way, but in a tone that made it sound like we were trying to get extra food for free or something. The free pita bread never made its way onto our table, and this encounter left us feeling a little strange, to say the least. Service aside, Meat in the Middle does serve up some decent Greek food, but I’ve heard that their burgers aren’t as great, never fear, Yo My Goodness is merely two minutes away if you’re in need for some good burgers. 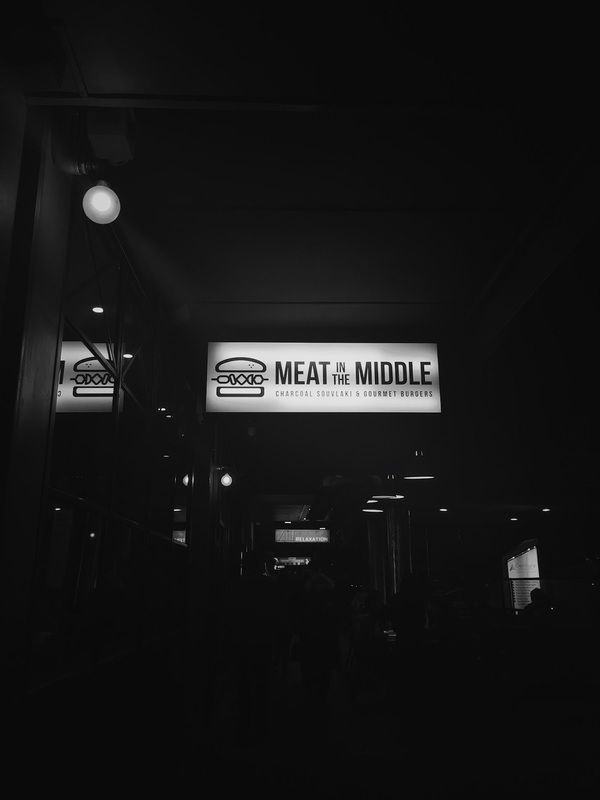 Meat in the Middle is located on Kingsway, a short five minutes walk away from Glen Waverley station.